Move over blueberries! Cherries are the new food superstar! Recent research from the American College of Sports Medicine has shown that tart cherries may have the highest anti-inflammatory content of any food out there. The fruit’s bright red color as well as the antioxidants it contains are connected to reduced levels of inflammation that compare to the capability of many pain medications. 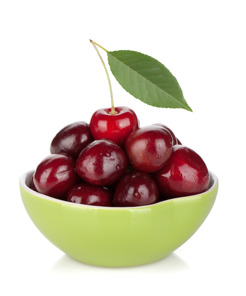 Many corporate wellness clients are dealing with ailments such as osteoarthritis and general chronic pain due to inflammation, so cherries could be a natural way to assist them in pain management. The article says that athletes in particular are more prone to osteoarthritis due to the wear and tear of their joints, so cherries could benefit this population as well. Tart cherries are currently in season, but you can also find them in the dried or frozen variety during winter months. To read about the “Go Red Instead” campaign and to find more recipes like the one below, go to the Choose Cherries website. Blend all ingredients in blender until smooth. Pour into two chilled glasses. Garnish with almonds and dried cherries. Serve immediately. Makes 2 servings. Arthritis. When you exercise, it hurts. When you don’t exercise, it hurts. This widespread issue is affecting people of all different ages and driving these arthritis sufferers right to the couch. It just hurts no matter what, so what should you do? Pick your battles. I understand that it’s painful and can leave you hesitant to do anything to potentially worsen the ache, but doing nothing at all will certainly not help. In fact, it will make it worse. You cannot let arthritis get in the way of your quality of life. I’ve spoken with people everywhere along the spectrum, from those in slight pain and avoiding any activity to those who are bone on bone but keep moving along. I am in no way recommending the “no pain, no gain” rule, but I am encouraging you to get active in order to increase the longevity of your joints. Your joints will love you so much more if you choose moving over “babying.” Don’t believe me? Check this out: Exercise strengthens the muscles surrounding that arthritic joint, which can reduce pain and improve the joint’s mechanics. It also compresses and releases cartilage, which brings oxygen to the joints. So, now you’re looking at not only decreased pain and postponing surgery, but you’re also improving your overall health. Plus, if surgery is required, you will drastically speed your recovery. Is this starting to sound like a win-win? Low-impact cardio: These heart-happy exercises are easy on the joints and will burn a lot of calories. Popular machines for this include ellipticals, bicycles, and rowing machines. Aquatic exercise: Not a great swimmer? No problem! There’s a lot more that you can do in the water. It’s also very kind to your joints. The buoyancy reduces stress on the joints and spine, and provides resistance without equipment. Yoga: Yoga is an excellent way to strengthen and lengthen the body. Both are essential in improving alignment, which is critical in taking the strain and stress off of your joints. Try out a class before you pop in a DVD at home. That way, the instructor can see your position and guide you if needed. Tai chi: This traditional style of Chinese martial arts includes slow, controlled movements, which put little force on the joints, to improve balance, strength, and flexibility. Like yoga, try a class first to get some feedback from an instructor. Learn more about arthritis and how to alleviate the symptoms by searching articles at Discovery Health and Lifescript. This blog was written for NIFS by special guest writer Elizabeth Carrollton. Joint pain is a very common problem, and keeping fit is one of the best ways to find reliable relief. For many of us, limiting activity might seem to make sense when a joint is achy. However, inactivity can make matters worse. In fact, inactivity is a leading cause of joint pain, causing weakness in muscles and bones that can lead to injuries and joint disorders like osteoarthritis. So if your joints are getting a bit sore and stiff by the end of the day, exercise can help relieve the pain and ward off more serious troubles. Of course, it's important to see your doctor for diagnosis and treatment of injuries or joint problems before treating them with exercise. Keeping the muscles around injured joints strong is important in maintaining range of motion, joint function, and alignment, factors that can speed healing and recovery after injuries, as well as decreasing pain and stiffness. In joints affected by arthritis, regular exercise can increase joint support by improving the strength and tone of surrounding muscles, which can relieve daily pain and stiffness and slow the progress of this degenerative joint disorder. That's why physical therapy is typically used as part of the treatment plan for most joint injuries and chronic degenerative conditions. 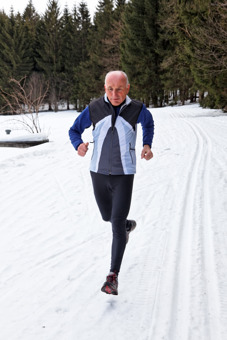 Moderate, weight-bearing exercise is the way to go when your goal is to relieve joint pain. Avoid high-impact exercise that rattles the joints in favor of more joint-friendly options, like walking, swimming, or bike riding. Yoga, Pilates, and tai chi are great choices as well, and have been shown in a number of studies to reduce joint pain and discomfort. If you have been fairly sedentary, start slowly, working up to that optimal goal of at least 30 minutes of exercise daily. If you have severe joint pain or degeneration, physical therapy might be a good idea to ensure that you aren't putting yourself at risk for further joint injury. Besides, working with an expert who is knowledgeable about joint care and function will likely offer more effective relief than exercising on your own. 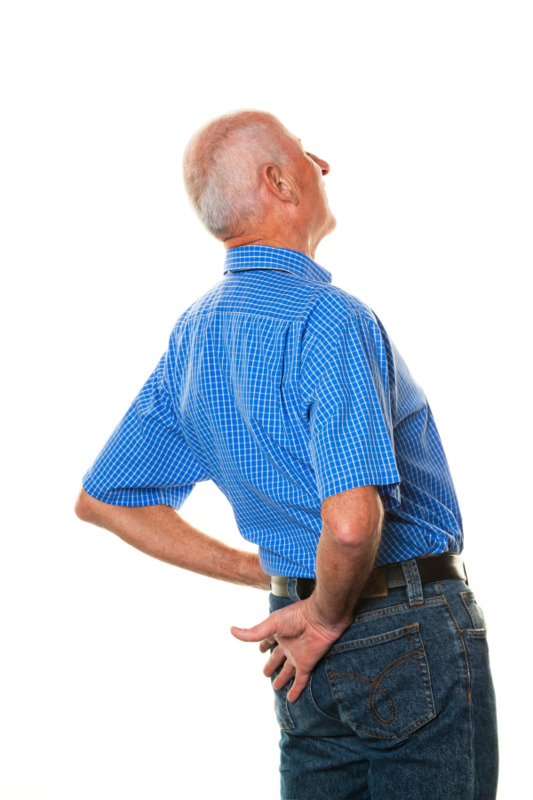 Ignoring joint pain can give small issues or injuries a chance to develop into serious, long-term joint problems. Serious joint problems lead to more than 690,000 knee-replacement surgeries every year in the United States and more than 450,000 hip-replacement procedures. Although these surgeries can be a good option for people who have been disabled by joint conditions or injury, they are major surgery and should be considered a treatment of last resort. Recovery can be a long and challenging process after joint replacement and complications can be an issue, as anyone affected by the recent hip implant recalls can tell you. Faulty metal-on-metal hip implants, used in thousands of procedures, caused metallosis in some patients, which is a complication related to metallic implant debris. Metallosis can cause intense pain and swelling in the hip as metallic particles collect in the soft tissues, and can eventually lead to tissue death, bone loss, and implant loosening or failure, making more surgery necessary. Your joints play an important role in all of life’s activities. They connect bone to bone, which allows your body to move during everything from sports and exercise to everyday functions such as playing with kids, lifting groceries, performing yard work, and even sitting at a desk. Maintain a healthy weight. Shedding a few pounds can help take the pressure off of lower-body joints, including the knees, which seem to suffer the most from weight gain. Mix up the aerobic exercise routine. 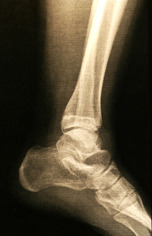 Running and playing sports can help build bone density, but too much impact can hurt your joints. Mix in lower-impact exercises such as biking and swimming. Pump iron. Strength training builds up the muscles that support joint health. Mix together upper-body, lower-body, and core exercises. Keep it moving. Sitting for too long invites stiffness. Take stretching or walking breaks at the office, when watching your child’s sporting event, or when watching TV or reading at night. When you do find yourself at your desk, practice good posture. Stretch. Stretch after exercising. You may also find yoga, Pilates, and t'ai chi soothing for sore joints. Eat for joint health. Consume foods rich in calcium, omega-3 fatty acids, and vitamins A, C, D, and K.
This blog was written by Diane Miller. Meet our blogging fitness specialists at the NIFS website. If you’re looking for a run/walk event this December, why not try the Jingle Bell Run? The Arthritis Foundation will host its 23rd annual event this year in downtown Indianapolis on December 10. Runners and walkers of all ages and abilities gather together for this 5K (3-mile) event dressed in crazy costumes and ready to support the foundation as it searches for a cure for arthritis. As someone living with arthritis, I jumped at the opportunity to be a part of this event. Having had back pain for nearly 10 years, I was finally diagnosed in 2010 with osteoarthritis (a degenerative joint disease). With at least five vertebrae affected, it has made daily living more difficult. My love of running and racing in events has been well rewarding but has taken a toll on my body. After weeks of tests and a doctor telling me not to race, I decided that I wanted to compete in my biggest race to date, a half-Ironman. Seven hours into the race, I finally crossed that finish line and was overwhelmed by one of the best feelings I’ve ever experienced. Tears of joy ran down my face as I completed the unthinkable. Unfortunately, days after the race, I paid the price; the back pain was terrible. I hope that one day we can find a cure, not only for myself but for other generations so they can reach their ultimate goals and live pain free. I am happy to be a part of the Jingle Bell Run and can’t wait to wear my best holiday-inspired costume. See you at the start line at 9 a.m.! Pain, swelling, and stiffness associated with arthritis do not make physical activity fun or easy. 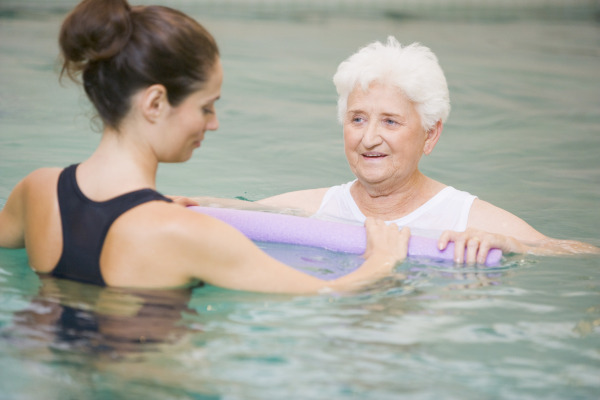 Research has shown, however, that exercise is a vital tool for managing discomfort associated with arthritis. In fact, avoiding exercise can increase joint pain and stiffness as the supporting muscles get weaker. By moving and using the muscles, bones, and other tissues that surround joints, people who suffer from arthritis can expect to protect themselves from further damage and pain. Activity such as weight training promotes joint strength and stability, while aerobic exercise can help keep body weight down, which also relieves pressure on joints. Stretching exercises are useful for maintaining joint range of motion. Arthritis is a leading cause of physical disability in the U.S., and people who are obese and physically inactive are at higher risk for developing this chronic condition. As our aging population grows, the need for senior fitness programming and management for this group does, too. 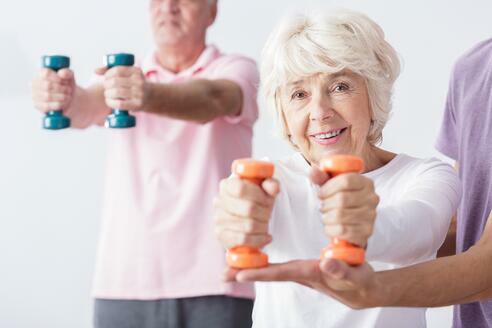 Qualified health and fitness professionals can guide senior members or residents through a safe and effective exercise program designed to improve strength, reduce pain, and maintain the function of joints among arthritis sufferers.